After living off the grid for more than 20 years, a home owner in the Pacific Northwest was looking to upgrade the components of his solar power system. His upgrade included the addition of Fortress Power’s LFP-15 battery, an energy dense Lithium Ferro Phosphate battery. Fortress Power batteries are virtually maintenance-free, extremely safe and require no cooling or ventilation. The batteries come with a 10-year warranty and operate for up to 6,000 cycles. 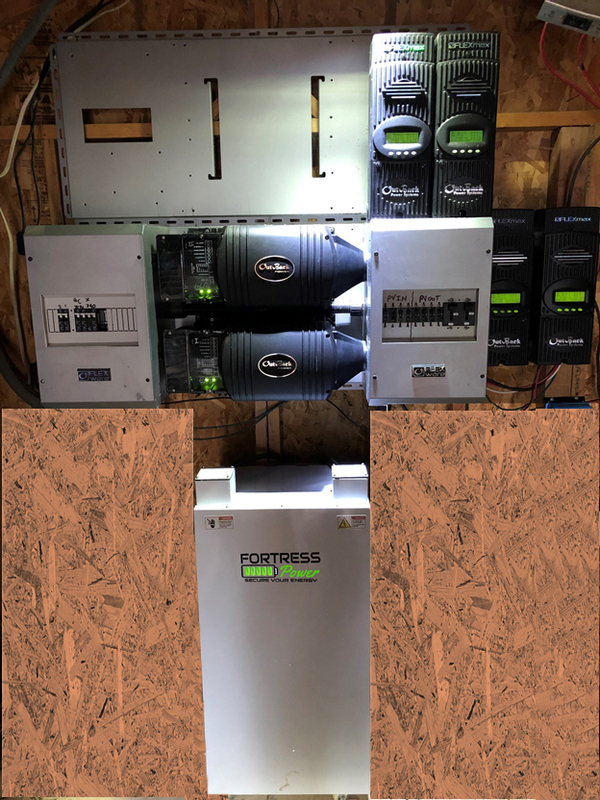 Fortress Power batteries provide a safe, long-lasting solution that has given this off-grid home owner greater peace of mind. 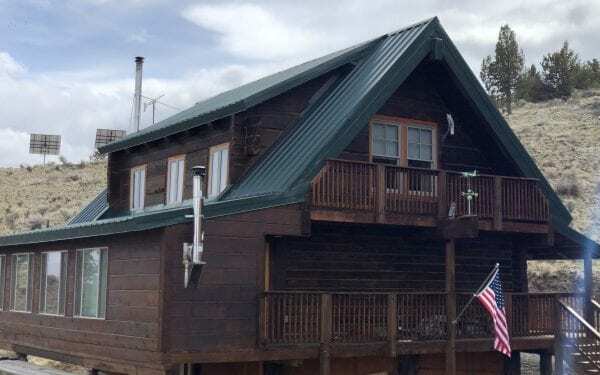 Installed in December 2018, his setup consists of the complete OutBack Power Flexware 500 System, a Fortress Power LFP-15 unit and 24 Evergreen 205w mounted solar panels (4920w+). The PV plus storage system powers the entire house, a two-story log home that has an LPG forced air heater, a refrigerator and two freezers, tankless water heater, 3 HP Grundfos water pump with an 80-gallon pressure tank, lights and ceiling fans in each room feeding through a 200-amp service panel. The client has an existing 45kw Deutz diesel generator which is connected to the Outback Inverter to power the home and charge the battery during cloudy days.